Here’s a midweek comic for you guys. Enjoy! 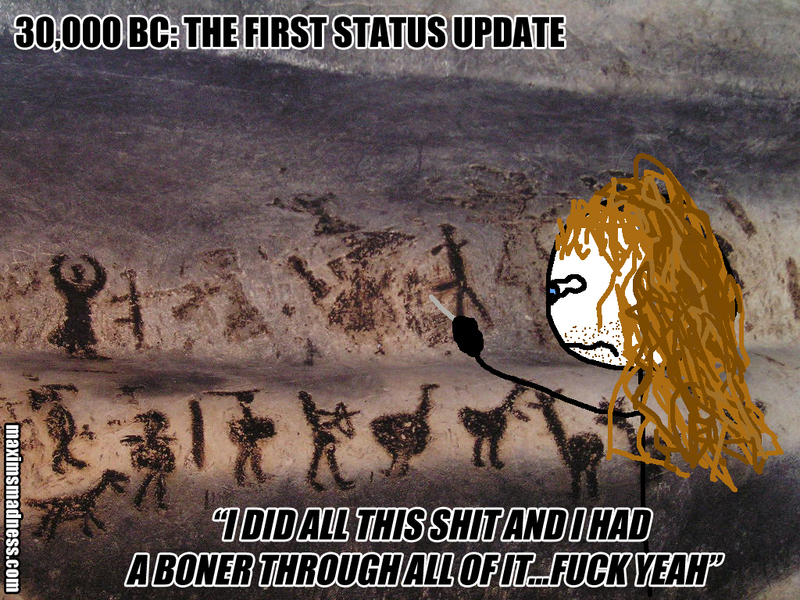 This entry was posted in Comics, Philosophy and tagged cave drawings, cavemen, comedy, comic, facebook, history, humor, status update by Maxim. Bookmark the permalink.